Rosemary pairs well with chicken, and the addition of potatoes makes it a delicious roasted meal. 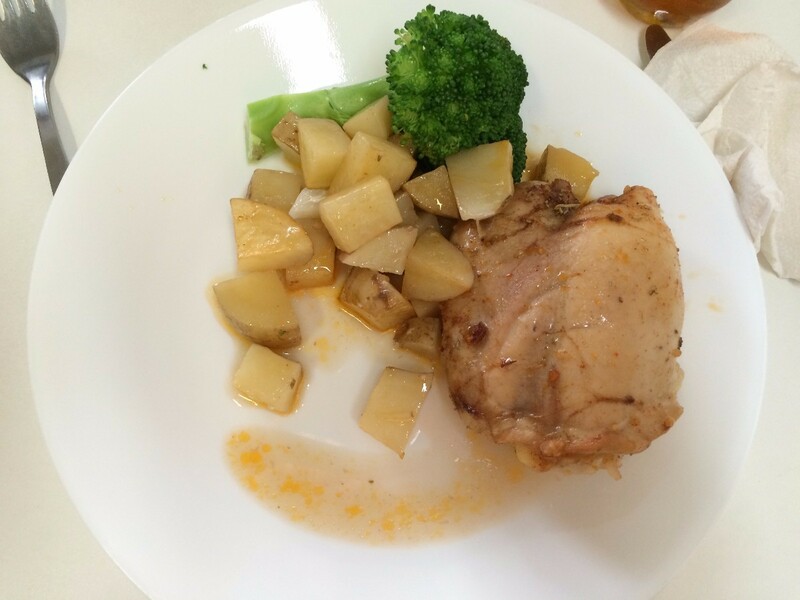 This page contains recipes for rosemary roasted chicken with potatoes. 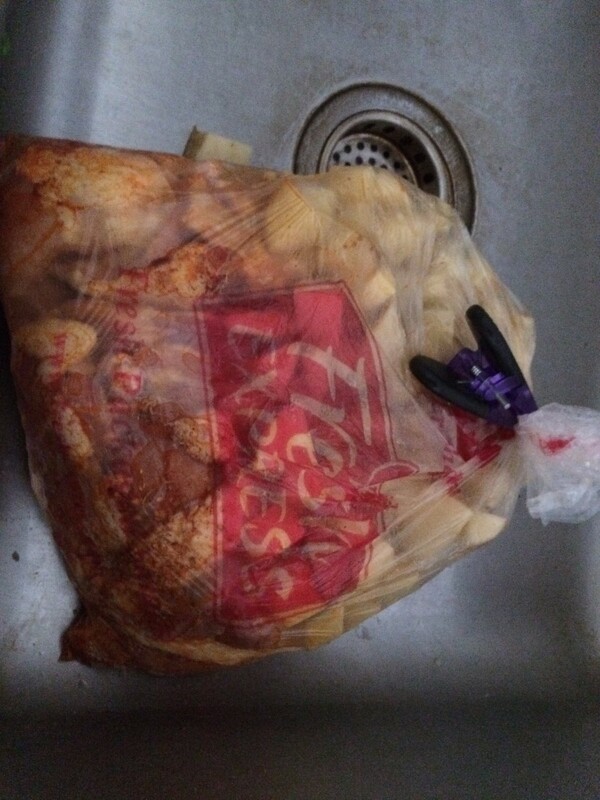 I took advantage of the great sales on chicken and potatoes this week. I made this recipe for the first time. It will definitely be made many more times. The spices really give the meat and potatoes a delicious flavor. This recipe is for 4 servings. I doubled the recipe so that I could have leftovers for my busy workweek. 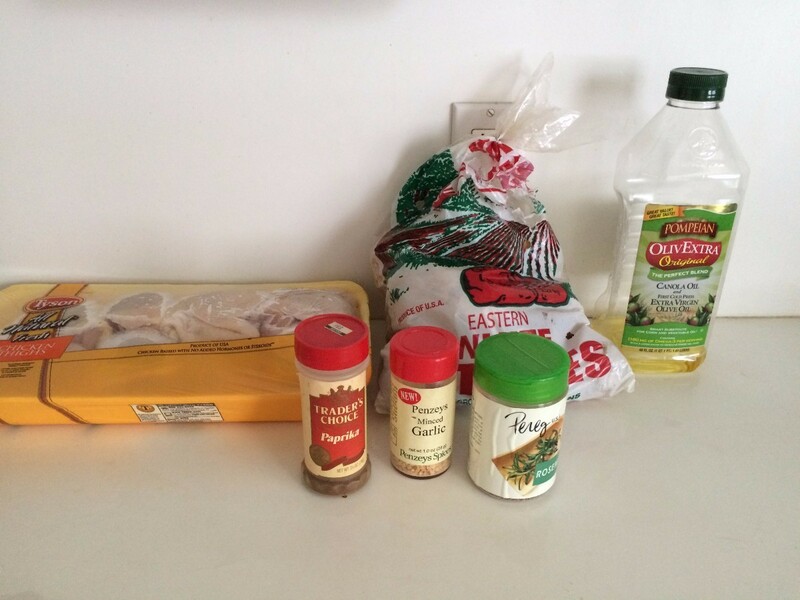 Mix the oil and the spices in a bag or large bowl. Add the chicken and potatoes. Coat thoroughly. 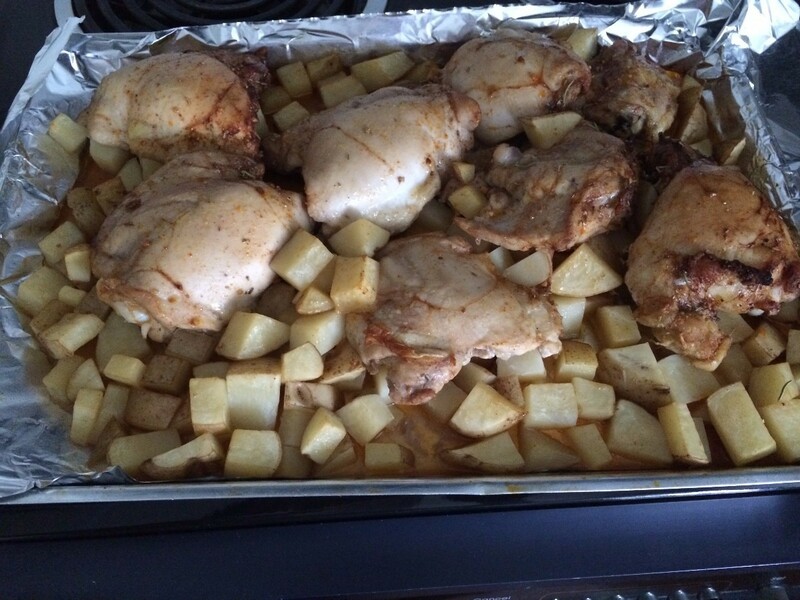 Arrange the chicken and potatoes in a single layer on a foil-lined baking sheet that has been sprayed with cooking spray. Roast in oven 30 minutes, turning the potatoes occasionally (my chicken took 40 minutes-check for juices running clear and tender potatoes). This is one of my easiest and DELICIOUS recipes. All in one pan, just add a salad or veggie! 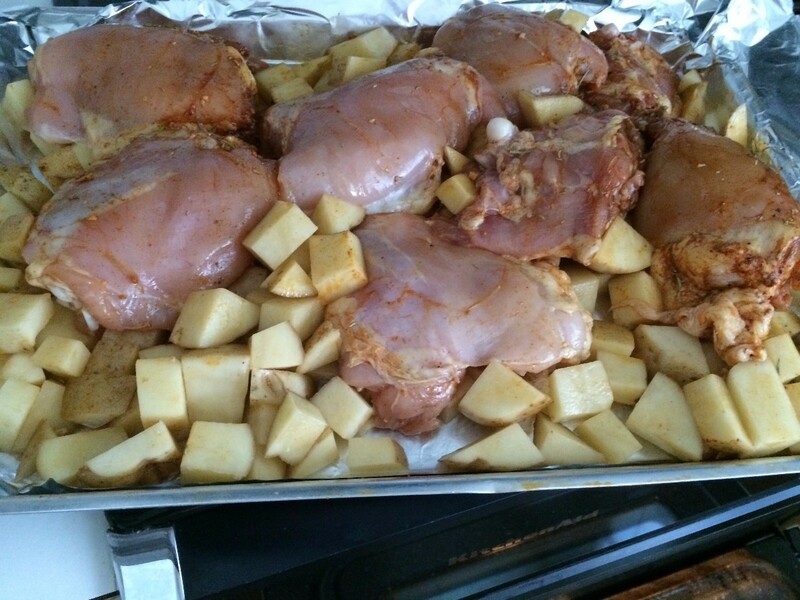 Preheat oven to 450 degrees F. In a large roasting pan, toss all ingredients and lay in a single layer. Roast for 35-40 minutes. Enjoy!